HUHUETENANGO, Guatemala — Amidst the chaos of third-graders getting ready for recess, a small empty desk stands out. The child who used to sit there is gone, having left for the United States with his father. In another classroom, four girls work together to fix their costume for the school’s carnival. The rest of their ninth-grade class has dropped out — some to go to the U.S., others because their families couldn’t afford school any longer. In a neighboring town, a teacher gardens to empower young women after the village’s only secondary program closed due to a lack of students. Since October 2016, more than 720,000 unaccompanied minors and parents traveling with children have turned themselves in to Border Patrol agents along the U.S.-Mexico line. An additional 110,000 have gone to ports of entry to seek refuge. About 40% are from Guatemala, the largest single group. It’s not clear how many will end up seeking asylum, but in fiscal 2018 nearly 20% of migrants from all countries claimed to a border officer they feared returning to their home country. 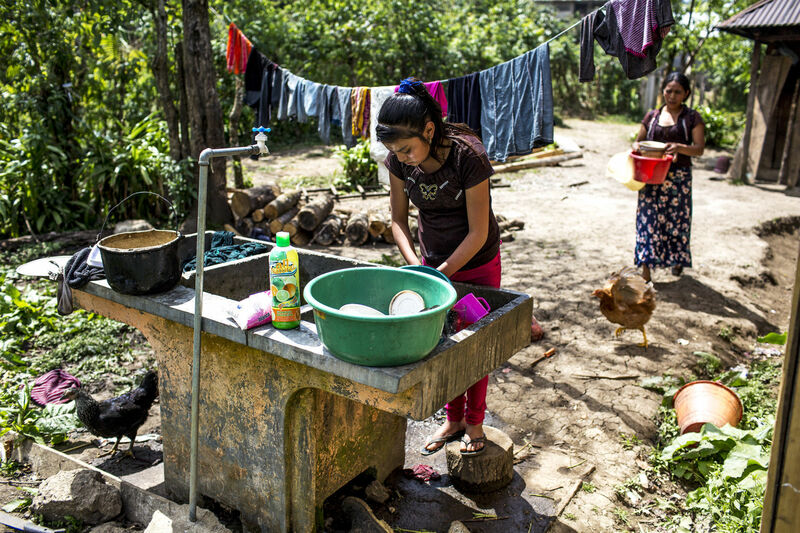 For families in Bulej and Yalambojoch — indigenous towns near Guatemala’s border with Mexico — leaving for the United States is seen as a last choice, propelled by a cycle of debt that only fuels more migration. And while it’s too soon to predict the long-term impact of family migration, some of these villages are losing their future as the younger generation heads north. Many of those who stay behind face a heavier workload — they need to care for younger siblings and tend house while their mothers work in the fields or fetch wood, tasks that typically belonged to their husbands. Every week, residents estimate, at least 10 parents, each with a child or two, leave the small villages. President Trump has called the current numbers a crisis and a national emergency. He has threatened to shut down the U.S.-Mexico border and shifted hundreds of customs officers from the legal ports of entry where migrants present themselves to helping Border Patrol agents process families crossing illegally. But the numbers keep rising. In March alone, agents made a total of 92,600 apprehensions — the highest in a decade. Nearly 63,000 were family groups and unaccompanied minors. In Yalambojoch, not even the death of 8-year-old Felipe Gomez Alonzo, who died in Border Patrol custody on Christmas Eve, deters others from following. His uncle and cousin left a week after Felipe’s funeral. It was his fate, the townspeople reason. It won’t happen to them. In the end, the stories of those who make it and the need to leave are more powerful. 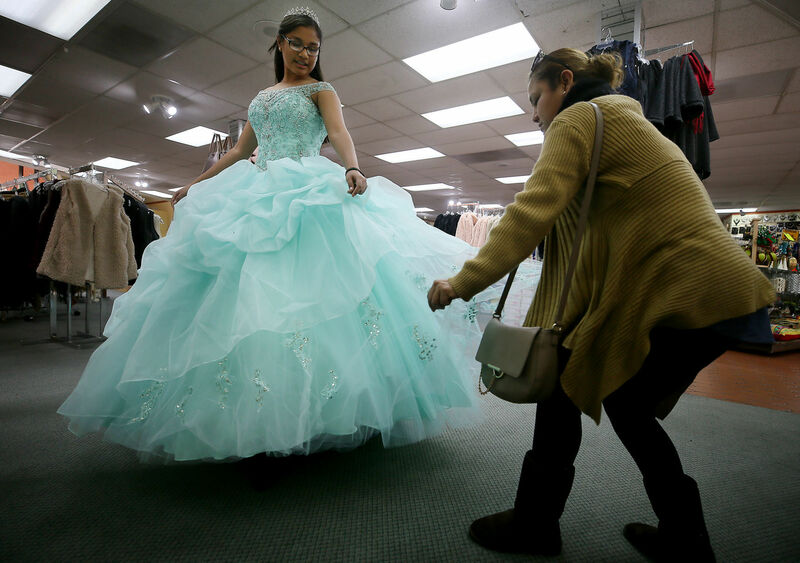 As some in the villages say, children have become their passports to the American Dream. The Trump administration has tried prosecuting everyone who crosses the southern border illegally, separating families as parents go through criminal courts and children are sent to shelters. The president has threatened to shut down the border, ordered that asylum-seekers wait in Mexico as their cases are processed, and continues to demand construction of a border wall. But the migrants keep coming, often in groups of 100 or more, waving down border agents to surrender in hopes they can stay. From Dec. 21 through April 8, Immigration and Customs Enforcement (ICE) released nearly 24,000 parents and children, most from Central America, out of 133,500 people arrested at the border. “It’s a colossal surge and it’s overwhelming our immigration system, and we can’t let that happen,” Trump said during his April 5 trip to Calexico, California. But in order to address what Trump calls a national emergency, experts on both sides of the border say policymakers must understand the complex root causes of the migration and of who is arriving. The desk of Baldemar García sits empty in the back of the classroom of the primary school of Bulej. Baldemar left his community, along with his father, the previous week. Photo by Simone Dalmasso. Listen and read about this story here. I recently traveled to Guatemala to gain some perspective on what is happening there. I was happy to speak with Arizona Public Media’s The Buzz to talk about that reporting. 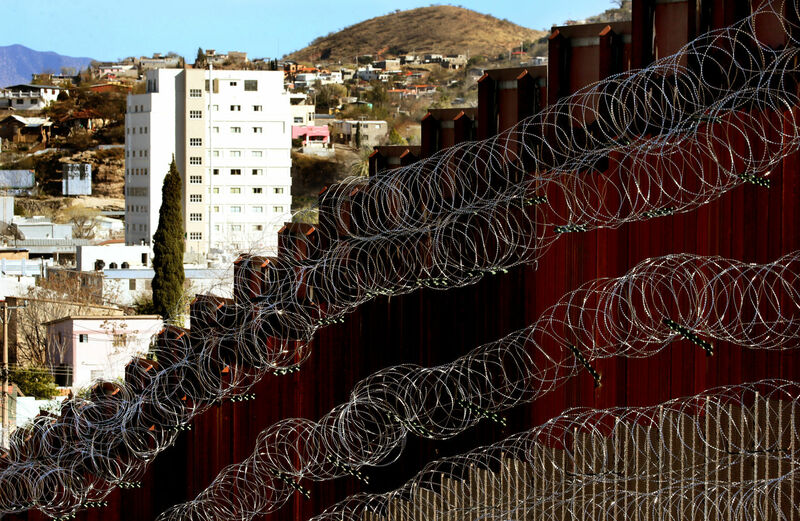 NOGALES, Ariz. — It’s been nearly three months since troops first showed up at the Southern Arizona border, placing razor wire atop the fence and blocking some port lanes in anticipation of Central American caravans that instead went to the California line. As more troops are being deployed to the border, locals here are calling for the razor wire to be removed, saying it hurts businesses and sends the wrong message. About 3,500 additional active-duty service members will be sent to the border as part of a new request from the U.S. Department of Homeland Security that extends their mission through the end of the fiscal year. There are about 2,300 troops currently deployed, down from 5,900. In Arizona, there are about 650 troops assisting Customs and Border Protection, down from the 1,500 originally deployed in the beginning of November. That’s in addition to hundreds of National Guard troops activated since April. Across the U.S.-Mexico border, the projected cost of the deployment of the National Guard is $550 million through the fiscal year, Department of Defense officials said at a Jan. 29 congressional hearing. So far another $132 million has been spent on the active-duty military on the border, and officials said they couldn’t estimate the full fiscal-year cost. 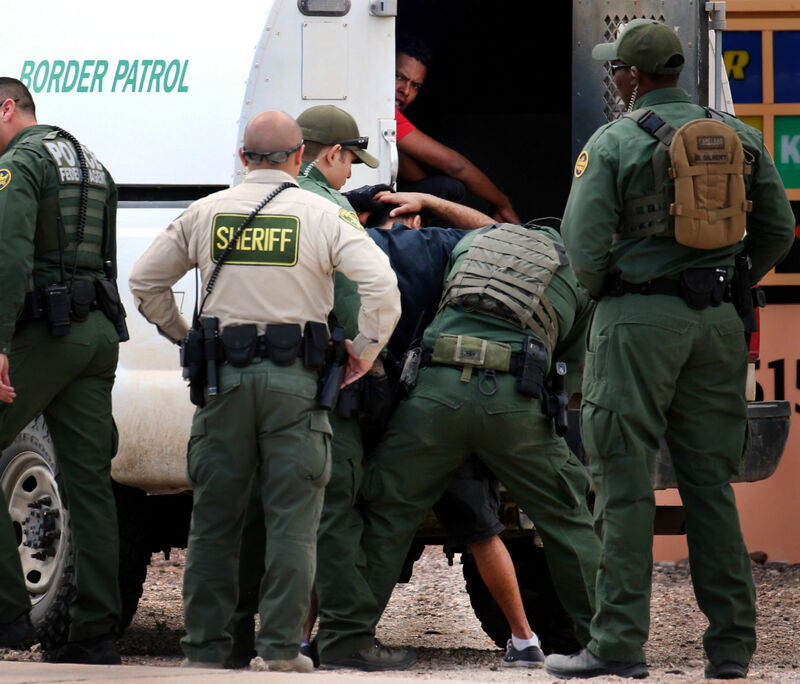 While the soldiers were initially tasked with helping CBP strengthen ports of entry and working on logistics and transportation, the new mission focuses on surveillance and placing 150 miles of additional concertina wire away from the ports. So far, they’ve laid 70 miles of the wire near ports in Texas, Arizona and California. On Saturday, the Nogales International newspaper reported that more troops were already in town adding wire. As many as six rows can be seen coiled across a section of fence in an image posted on social media.